Not to be confused with Panama Papers. The documents originate from legal firm Appleby, the corporate services providers Estera and Asiaciti Trust, and business registries in 19 tax jurisdictions. They contain the names of more than 120,000 people and companies. Among those whose financial affairs are mentioned are, separately, AIG, Prince Charles and Queen Elizabeth II, President of Colombia Juan Manuel Santos, and U.S. Secretary of Commerce Wilbur Ross. At 1.4 terabytes in size, this is second only to the Panama Papers of 2016 as the biggest data leak in history. On 20 October 2017, an anonymous Reddit user hinted at the existence of the Paradise Papers. Later that month, the International Consortium of Investigative Journalists (ICIJ) approached the offshore law firm Appleby with allegations of wrongdoing. Appleby said that some of its data had been stolen in a cyberattack the previous year, and denied the ICIJ's allegations. After media outlets started reporting on the documents, the company said that there was "no evidence of wrongdoing", that they "are a law firm which advises clients on legitimate and lawful ways to conduct their business", and that they "do not tolerate illegal behaviour". Appleby stated the firm "was not the subject of a leak but of a serious criminal act" and that "this was an illegal computer hack". "Our systems were accessed by an intruder who deployed the tactics of a professional hacker", the company said. The documents were acquired by the German newspaper Süddeutsche Zeitung, which had also obtained the Panama Papers in 2016. According to the BBC, the name "Paradise Papers" reflects "the idyllic profiles of many of the offshore jurisdictions whose workings are unveiled", so-called tax havens, or "tax paradises". The data breach comprises some 13.4 million documents—totaling about 1.4 terabytes—from two offshore service providers, Appleby and Asiaciti Trust, and from the company registers of 19 tax havens. Süddeutsche Zeitung journalists contacted the ICIJ, which has been investigating the documents with 100 media partners. The consortium made the data available to these media partners using Neo4j, a graph-database platform made for connected data, and Linkurious, graph-visualization software. This allowed journalists across the globe to undertake collaborative investigative work. The documents were released by the consortium on 5 November 2017. According to the papers, Facebook, Twitter, Apple Inc., The Walt Disney Company, Uber, Nike, Inc., Walmart, Allianz, Siemens, Global Vantedge, McDonald's, and Yahoo! are among the corporations that own offshore companies, as well as Allergan, the manufacturer of Botox. According to The Express Tribune, "Apple, Nike, and Facebook avoided billions of dollars in tax using offshore companies." Apple criticised the reports as inaccurate and misleading, saying that it is the largest taxpayer in the world and that it "pays every dollar it owes in every country around the world". Among the Indian companies listed in the papers are Apollo Tyres, the Essel Group, D S Construction, Emaar MGF, GMR Group, Havells, Hinduja Group, the Hiranandani Group, Jindal Steel, the Sun Group and Videocon. A great deal of the company's intangible property was exposed around the time of an internal Apple Inc. reorganization of three Irish subsidiaries. The company's 2015 gross domestic product showed a 26% increase, and close to $270 billion of intangible assets suddenly appeared in Ireland as the year began – more than the entire value of all residential property in Ireland. This may indicate that Apple took advantage of a tax incentive known as a capital allowance, which gives Irish companies generous tax breaks for buying intangible property – essentially intellectual property like patents. In other words, Apple (some suggest) transferred them to a subsidiary located in Ireland for the tax incentives, and didn't have to pay any tax on the transaction in Bermuda either, on the value it declared on the property when it sold them to itself. Following a 2013 US Senate investigation, which featured testimony by CEO Tim Cook, Ireland announced that henceforth Irish companies would be required to declare tax residency somewhere in the world. Apple had been paying a lower rate of corporate taxes in Ireland in a so-called sweetheart deal. This attracted the attention of EU regulators as many multinationals were doing the same thing. As the tax break in the Netherlands came to a scheduled end, Apple's law firm, Baker McKenzie, researched island tax havens, asking Appleby officials in numerous jurisdictions to confirm "that an Irish company can conduct management activities ... without being subject to taxation in your jurisdiction." Two of the subsidiaries moved to Jersey and took intellectual property with them. The third is receiving tax breaks in Ireland for buying Apple IP from another Apple subsidiary. The Jersey Financial Services Commission (JFSC) issued a Statement re Apple on 7 November 2017. The JFSC confirmed that the two Apple subsidiaries referred to by the media are not Jersey-registered companies and their understanding is that Apple funds relating to these entities have not been remitted to or held in the Island. The JFSC states that it has not seen any of the documentation that the International Consortium of Investigative Journalists (ICIJ) claims to hold following the Appleby data breach. If the ICIJ possesses data of a criminal or regulatory nature which relates to business activities in Jersey then the JFSC requested that this information is shared with them and, if there is any evidence of regulatory wrongdoing, then they would investigate and take action if appropriate. The Government of Jersey (States of Jersey) also issued a statement of similar effect on 7 November 2017. It is of further note that the jurisdiction of Jersey has recently been independently assessed as fully compliant with international regulatory guidelines on tax transparency. The EU, under the leadership of Jean-Claude Juncker, threatened to sue Ireland over its tax deals, although Juncker himself had approved similar tax deals in his own country, Luxembourg. Apple paid all of its taxes in Ireland as required by that country so Ireland is appealing the EU decision. HP, Nike, Microsoft and others use the same tax arrangements in Ireland, Luxembourg and other countries, but Apple is frequently cited as a media example. Irish companies are required to pay taxes in Ireland, but if they convince authorities[which?] that they are "managed and controlled" from abroad, the companies may win an exemption. Apple now holds $252 billion offshore. However, Apple has previously publicly stated that it reinvests post-tax earnings (generated outside the US) into the global economy via investment funds held offshore. Germán Efromovich, founder of Synergy Group, is linked to an offshore conglomerate used for the aerocommercial holding business with ramifications in Bermuda, Panama, and Cyprus. Efromovich used a Panamanian offshore that hid more than 20 firms located in tax havens. The conglomerate was used by Synergy Group's subsidiary Avianca Holdings in the purchase of MacAir Jet, now Avianca Argentina, aircraft company owned by Macri Group, for an amount of $10 million. Allowing Avianca to make headway in the low-cost carrier business in Argentina. The Argentine government accepted this offshores as a financial guarantee to assign air routes to Avianca. The whole operation of assigning air routes is investigated by the Argentine federal justice system in a case called "Avianca" in which the President of Argentina Mauricio Macri and other officials were imputed. A Kremlin-owned firm, VTB Bank, put $191 million into DST Global, an investment firm part of Mail.ru Group and founded by Russian billionaire Yuri Milner, which used it to buy a large share of Twitter in 2011. A subsidiary of the Kremlin-controlled Gazprom funded an investment company that partnered with DST Global to buy shares in Facebook, reaping millions when the social media giant went public in 2012. Twitter similarly went public in 2013. The US government sanctioned VTB in 2014 because of the Russian military intervention in Crimea, but DST Global had by then sold its stake in Twitter. Four days after the Facebook IPO, a DST Global subsidiary sold more than 27 million shares of Facebook for approximately $1 billion. In 2009, Glencore, an Anglo–Swiss multinational commodity trading and mining company, loaned $45 million to Israeli billionaire Dan Gertler in exchange for his help with officials of the Democratic Republic of Congo in negotiations over a joint venture with state-owned Gécamines at the Katanga copper mine. The current DRC president, Joseph Kabila, the son of Laurent Kabila, who sold Congolese diamond rights to Gertler, then used the proceeds to take power in a coup. One of the Katanga board members was Glencore major shareholder Telis Mistakidis, a former employee whose stock options made him a billionaire in the IPO. Glencore, which had effectively taken over Katanga, agreed to vote for the joint venture. The loan document specifically provided that repayment would be owed if agreement was not reached within three months. Gertler and Glencore each have denied wrongdoing. Appleby had worked for Glencore and its founder Marc Rich on major projects in the past, even after his indictment in 1983. Rich was indicted in the United States on federal charges of tax evasion and making controversial oil deals with Iran during the Iran hostage crisis. He received a controversial presidential pardon from U.S. President Bill Clinton on 20 January 2001, Clinton's last day in office. A separate ICIJ project found that tax auditors in Burkina Faso accused a Glencore subsidiary of deducting from its taxes "fictitious" payments to other Glencore subsidiaries, and of selling the zinc from its mine (to another Glencore compary) in unrefined form to minimize its revenue, which it publicly said in 2015 had not recovered from a 2017 downturn. Its CEO told shareholders before this that it expected a spike in demand, which did materialize. The mine is owned by Nantou Mining SA, which is owned by Merope Inc, a Bermuda shell company set up by Appleby with directors provided by the firm. Glencore sold Merope in April 2017 but before that it was 100% owned by Glencore Finance (Bermuda) Ltd, which was, according to a document from the Paradise Papers leaks, 100% owned by Glencore Group Funding Ltd of the United Arab Emirates, an entity in turn 100% owned by Swiss firm Glencore International AG, itself a wholly owned subsidiary of Glencore plc, registered in Jersey. Documents were also discovered discussing Glencore's desire to keep its substantial stake in SwissMarine a secret, and that although the subsidiary's annual report showed revenues of $1.9 billion in 2014, Glencore does not mention it in its disclosures to the London Stock Exchange or any other public filing because, it said, it did not consider this a significant investment. The Australian branch of Glencore has been demonstrated to have carried out some $25 billion in cross-currency interest rate swaps, complex financial instruments the Australian Taxation Office suspects of being used to avoid paying taxes in Australia. Appleby documents detail how Nike boosted its after-tax profits by, among other maneuvers, transferring ownership of its Swoosh trademark to a Bermudian subsidiary, Nike International Ltd. This transfer allowed the subsidiary to charge royalties to its European headquarters in Hilversum, Netherlands, effectively converting taxable company profits to an account payable in tax-free Bermuda. Although the subsidiary was effectively run by executives at Nike's main offices in Beaverton, Oregon – to the point where a duplicate of the Bermudian company's seal was needed – for tax purposes the subsidiary was treated as based in Bermuda. Its profits were not declared in Europe and came to light only because of a mostly unrelated case in US Tax Court, where papers filed by Nike briefly mention royalties in 2010, 2011 and 2012 totaling $3.86 billion. Under an arrangement with Dutch authorities, the tax break was to expire in 2014, so another reorganization transferred the intellectual property from the Bermudian company to a Dutch commanditaire vennootschap or limited partnership, Nike Innovate CV. Dutch law treats income earned by a CV as if it had been earned by the principals, who owe no tax in the Netherlands if they do not reside there. One in six dollars of foreign profit earned by US multinationals was earned, at least on paper, through a Dutch CV subsidiary. Companies with similar structures include Tesla, Inc., NetApp and Uber. Appleby managed 17 offshore companies for Odebrecht, a Brazilian conglomerate, and at least one of them was used as a vehicle for paying bribes in the Operation Car Wash. Some of these offshore companies are publicly known to operate for Odebrecht in Africa and be involved in bribes. Among those involved in the operation who also are named in the papers are Marcelo Odebrecht, Brazilian businessman and former Odebrecht' CEO, his father Emílio Odebrecht and his brother Maurício Odebrecht. Appleby and various banks in the Isle of Man, including Conister Bank which is owned by Arron Banks and Jim Mellon, had business with PokerStars and its founders, Mark Scheinberg and his father Isai Scheinberg, until it was sold for $4.9 billion in 2014 to The Stars Group, formerly known as Amaya. PokerStars and its founders were pursued by the US Department of Justice for allegedly money laundering billions until they negotiated a settlement in 31 July 2012. The Stars Group along with its former member of board of directors Wesley Clark and former CEO David Baazov also did business with Appleby. In March 2016, David Baazov and other executives were charged by Canadian regulators with multiple securities fraud charges related to the acquisition of PokerStars. Saadi Yacef, freedom fighter, author, and politician, appears in the Papers in connection with a trust in the Cayman Islands, along with a former energy minister, the family of a former foreign minister and their South Pacific holdings. An opposition party, UNITA, called for an investigation into alleged diversions from the country's sovereign wealth fund. Jean-Claude Bastos de Morais, a close associate of the son of former long-term president José Eduardo dos Santos, has invested over $2 billion from the country's sovereign wealth fund in Mauritius, according to Appleby documents. In a 20-month period he was paid over $41 million in management fees, and invested much of the money in his own projects. Ibrahim Mahama, brother of former president of Ghana John Mahama, registered a company in the Isle of Man to hold the registration for his private jet, according to Appleby documents. Mahama, the CEO of Engineers & Planners Company Limited, is also under investigation for allegedly issuing bad checks. In 2016, Ghanaian authorities took his company to court for allegedly not making social security payments. The case was later settled. Ghanaian Finance Minister Ken Ofori-Atta was identified as a co-director of an offshore company with outgoing president of Liberia, Ellen Johnson Sirleaf. Sally Kosgei, member of parliament 2008–2013 and minister of agriculture 2010 to March 2013, owned a million-dollar flat near Harrods in London through an offshore she told Appleby was funded by her flower-export company. Liberian President Ellen Johnson Sirleaf is listed in the papers as a director of the Bermuda company Songhai Financial Holdings Ltd. a subsidiary of Databank's finance, fund management and investment company Databank Brokerage Ltd., from April 2001 until September 2012. The Ghanaian Minister for Finance and Economic Planning, Ken Ofori-Atta, was a co-founder of Databank and a co-director, with Johnson Sirleaf, of Songhai Financial Holdings. Aliko Dangote, Africa's richest man with an estimated wealth of 12.1 billion, is also mentioned. President of the Nigerian Senate Bukola Saraki is listed in the papers as a director and a shareholder of Tenia Ltd., a company established in the Cayman Islands in April 2001. Foreign Minister Sam Kutesa is listed as beneficiary, along with his daughter, of a trust which holds the Seychelles-based Katonga Investments Ltd. Katonga gave as its source of income Enhas Uganda, another Kutesa-owned company criticized in a parliamentary committee as part of a privatization it said had been "manipulated and taken advantage of by a few politically powerful people who sacrifice the people's interests". Kutesa was also president of the United Nations General Assembly in 2014–2015. Kutesa told the Daily Monitor he had never done anything with the company. India ranks 19th out of the 180 countries represented in the data in terms of the number of names. In all, there are 714 Indians in the tally, including noted political leaders  like Minister of State for Civil Aviation Jayant Sinha, notable names like actor Amitabh Bachchan (a shareholder in a Bermuda-based digital media company), former Member of Parliament of the Rajya Sabha Vijay Mallya. The papers revealed that Mallya sold United Spirits to Diageo in 2013, which it later approached London-based law firm Linklaters to restructuring the group structure created by Mallya. With three other subsidiaries based in the UK, United Spirits was allegedly involved with diverting funds amounting to $1.5 billion. Two children of deceased former president Suharto, Tommy and Mamiek in addition to opposition party leader Prabowo Subianto (Suharto's former son-in-law) and businessman Sandiaga Uno are listed in the papers. The Directorate General of Taxes released a statement that they will follow up the information provided on Indonesian taxpayers. Former Japanese Prime Minister Yukio Hatoyama is listed in the papers. The Bermuda-incorporated company, Hoifu Energy Group, is listed on the Stock Exchange of Hong Kong and appointed Hatoyama honorary chairman in 2013 because of his "amicable relationship" with the oil industry, a sector in which Hoifu planned to expand. The principal shareholder of the company was Hui Chi Ming. Neil Bush, brother of George W. Bush, was a director (deputy chairman) of the company. Former Minister of Oil and Gas Sauat Mynbayev is listed as an original shareholder of Meridian Capital Ltd. Former BTA Bank Chairman Mukhtar Ablyazov is documented for his ownership of Cayman Island-registered CFJ Star Trust, which may have been used in his alleged embezzlement and mismanagement of $10 billion of BTA money. The embezzlement is one of the largest cases of financial fraud in history. Former Prime Minister Shaukat Aziz is listed in the papers, having set up a trust called the Antarctic Trust owned by a Delaware corporation. Aziz, a former Citibank executive, told the ICIJ he had set the trust up for estate planning purposes and that the funds had come from his employment at Citibank. An internal Appleby document raised concerns about warrants issued for him in connection with the killing of a local leader. Aziz dismissed both the murder charge and the allegations of financial impropriety. Alfred Gusenbauer was head of the Social Democratic Party of Austria from 2000 to 2008 and Austria's chancellor from January 2007 to December 2008. He is listed as a director for Novia Management, a Maltese company listed as a shareholder in Novia Funds Sicav Plc, also Malta-based, which includes among its other shareholders Tal Silberstein [de], who was arrested in 2017 with Beny Steinmetz on charges of money laundering, then released. Silberstein had served as Gusenbauer's campaign advisor. The French filmmaker Jean-Jacques Annaud is listed in the papers. As a result of the investigation, according to his lawyer, the filmmaker informed French tax authorities in the month preceding the release of the papers about his offshore holdings. Mareva Grabowski is listed in the Paradise Papers. She is the wife of Kyriakos Mitsotakis, who is leader of the opposition and president of the New Democracy political party. She owns 50% of an offshore company, Eternia Capital Management in the Cayman Islands,. This match is verified in Appleby and on listed in Cayman records on 30 March 2010. In total, 2.829 Greek names are listed in the papers. U2 lead singer Bono is listed in the papers as an investor in a Lithuanian shopping centre via a Malta-based company. Antanas Guoga, a Member of the European Parliament, is named in the papers. Ana Kolarević, sister of the former Montenegrin Prime Minister and President Milo Đukanović, who was in power from 1991 to 2016, is listed in the Paradise Papers. Nenad Popovic, Serbian Minister for Innovation and Technology and owner of the Russian conglomerate ABS Electro has a residence in a wealthy Zürich suburb, known for its tax shelters. The residence application and tax returns were initiated by PricewaterhouseCoopers, which handles offshore companies owned by Popovic. Those entities were also implicated in money laundering and tax evasion accusations, explicitly mentioned in the Paradise Papers. In Spain, the first political authority that appears is the former mayor of Barcelona and current councilor, Xavier Trias, artist José María Cano and billionaire Daniel Maté. Businessman Juan Villalonga, CEO of Telefónica 1996 to 2000, registered two companies in tax havens. Quantum Global Group, an investment bank owned by Jean-Claude Bastos de Morais, managed the Angolan wealth fund invested in seven investment funds in Mauritius and received an annual fee of 2 percent to 2.5 percent of capital under management per year. The sons of Turkey's Prime Minister, Binali Yıldırım, are listed in the papers. The sons, both doing maritime business, have officially set up their 2 companies in Malta, in order to avoid high Turkish tax rates. Both of the companies are registered under the names of the two sons, with the older son Erkam Yıldırım having more shares than the younger son Bülent Yıldırım in both companies. Companies, named Hawke Bay Marine Co. Ltd.(founded in 2004) and Black Eagle Marine Co. Ltd.(founded in 2007) are seen as "active" in the available detailed data. The Paradise Papers show that the Duchy of Lancaster, a private estate of Queen Elizabeth II, held investments in the Cayman Islands and Bermuda. The Paradise Papers also show that the Duchy of Cornwall, a possession of Prince Charles, invested in a Bermuda-based carbon credits trading company. The papers show that the Duchy of Lancaster, a private estate of Queen Elizabeth II, held investments in two offshore financial centres, the Cayman Islands and Bermuda. Both are British Overseas Territories of which she is monarch, and nominally appoints governors. Britain handles foreign policy for both islands to a large extent, but Bermuda has been self-governing since 1620. The Duchy's investments included First Quench Retailing off-licences and rent-to-own retailer BrightHouse. Labour Party Leader Jeremy Corbyn posited whether the Queen should apologize, saying anyone with money offshore for tax avoidance should "not just apologise for it, [but] recognise what it does to our society". A spokesman for the Duchy said that all of their investments are audited and legitimate and that the Queen voluntarily pays taxes on income she receives from Duchy investments. The papers also show that in June 2007, the Duchy of Cornwall, a possession of Prince Charles, invested $113,500 in Sustainable Forestry Management, a Bermuda-based carbon credits trading company run by Hugh van Cutsem. Four weeks after the Duchy of Cornwall purchased shares in Sustainable Forestry Management, Prince Charles made a speech criticising the European Union Emission Trading Scheme and the Kyoto Protocol for excluding carbon credits from rainforests, and called for change. James Meyer Sassoon, the 2007 president of the international Financial Action Task Force on Money Laundering, said that his $236 million trust revealed in the papers had been established years before by his grandmother with funds that had not been earned in the UK and therefore were not subject to tax there. He said he had first disclosed the trust when he joined the Treasury in 2002, where he was Commercial Secretary from 2010 to 2013. An article published by the ICIJ detailing the use of ambiguous VAT policies on the Isle of Man highlights the $27 million Bombardier Challenger 605 private jet that Lewis Hamilton registered there, apparently to become eligible for a $5.2 million VAT refund. The BBC also noted questions about investments by Conservative Party donor Michael Ashcroft and Farhad Moshiri, owner of Everton Football Club. Appleby has taken legal action against The Guardian and the BBC and this is widely seen as an attack on press freedom. For example, Jeremy Corbyn stated, "The Panama Papers and the Paradise Papers shone a powerful light on the absolute scandal of tax dodging. Knowledge is power and investigative reporters and whistleblowers bring into the open information that strengthens democratic debate about the type of society we want to live in. The more we know about the scale of, and techniques used for, tax dodging, the more we can develop policies to tackle this immoral scourge." Ukrainian President Petro Poroshenko is named in the papers. Gennadiy Trukhanov, mayor of Odessa with Russian and Greek citizenships is named as part of a crime gang. Jonathan Kolber, former CEO of Koor Industries and the beneficiary of the Kolber Trust and son of former Canadian senator Leo Kolber, who set the fund up in 1991, is named. Dan Gertler, Israeli billionaire businessman in natural resources and the founder and President of the DGI (Dan Gertler International) Group of Companies appears in 120 documents regarding his relationship with Glencore. Queen Noor of Jordan is listed in the papers as the beneficiary of two trusts registered in Jersey. One of the trusts, the Valentine 1997 Trust, was valued at more than $40 million in 2015, and its income is to be paid to the queen during her lifetime. The trust also owns property in southern England adjacent to Buckhurst Park, Sussex. The other trust, the Brown Discretionary Settlement, is the beneficial owner of a Jersey-incorporated investment holding company with assets worth c. $18.7 million in 2015. Prince Khaled bin Sultan bin Abdulaziz Al Saud, a former deputy minister of defense for the Kingdom of Saudi Arabia, is given as the owner of at least eight companies in Bermuda between 1989 and 2014, some of them apparently formed for purposes of owning yachts and airplanes. Rami Makhlouf, reportedly Syria's wealthiest man, is listed in the papers. Three former Canadian Prime Ministers are named in the Paradise Papers: Jean Chrétien, Paul Martin, and Brian Mulroney. According to the papers, Stephen Bronfman, Canadian Prime Minister Justin Trudeau's adviser and close friend, a Liberal Party fundraiser credited with putting Trudeau into office, moved millions of dollars offshore for former Liberal Party Senator Leo Kolber. The offshore maneuvers may have avoided taxes in Canada, the United States and Israel, according to experts who reviewed some of the 3,000-plus files detailing the trust's activities. Former president José María Figueres sat on the board of energy company Energia Global International, along with his brother and Timothy Phillips. The company was bought in 2001 by Enel SpA, an Italian power company, for $73 million, plus $37 million in debt cancellation. Figueres resigned from the board that year, at the annual EF meeting in Davos. He was also CEO of World Economic Forum from 2000 to 2004, and resigned as a result of allegations he called "unfounded" about $900,000 in consulting fees from a French telecommunications firm. According to the files, trade union leader and politician Joaquín Gamboa Pascoe had investments worth $15.5 million; other mentioned politicians are Pedro Aspe Armella, Alejandro Gertz Manero, and officials from PEMEX. High-profile Mexicans in the files include billionaire Carlos Slim, priest Marcial Maciel known as "the greatest fundraiser of the modern Roman Catholic church", and Ricardo Salinas Pliego. In an interview with Proceso, Gertz Manero, formerly National Security Secretary, denied all knowledge of the company, of which he was vice-president, and which was started by his brother, its president. 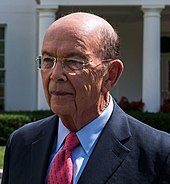 The leaked documents revealed that Secretary of Commerce Wilbur Ross holds stakes in businesses connected to sanctioned Russian oligarchs, which he did not disclose during his confirmation hearings. According to the papers, United States Secretary of Commerce Wilbur Ross holds stakes in businesses which deal with Russian oligarchs Leonid Mikhelson and Gennady Timchenko who are subject to U.S. sanctions, as well as Russian president Vladimir Putin's son-in-law, Kirill Shamalov. Other members of the Trump administration that appear in the documents include former United States Secretary of State Rex Tillerson and former director of the National Economic Council Gary D. Cohn. Offshore ties of more than a dozen Trump advisers, Cabinet members and major donors appear in the leaked data. Tillerson, while CEO of Exxon Yemen, was a director of a company with a joint venture agreement with a Yemeni state-owned company. He sued when Yemen ended the joint venture and turned over operations to a Yemeni company, and lost. He was still a company director and the offshore company was still active as recently as 2015. The documents also revealed that, between 2009 and 2011, Russian state organizations with ties to Putin pursued large investments in Facebook and Twitter via an intermediary—Russian-American entrepreneur Yuri Milner, who befriended Facebook founder Mark Zuckerberg and was a business associate of Jared Kushner, President Donald Trump's son-in-law. American singer Madonna, Microsoft co-founder Paul Allen, American billionaire George Soros, founder of Open Society Foundations, and former NATO supreme commander in Europe General Wesley Clark are also named in the papers. This list includes some of President Donald Trump's foremost donors, who together funneled nearly $60 million to organizations supporting his campaign and transition. They include casino magnate Sheldon Adelson; resort owner Steve Wynn; hedge fund managers Robert Mercer and Paul Singer; and private equity investors Tom Barrack, Stephen Schwarzman, and Carl Icahn. Prominent Democratic donors also appear in the law firm's files. Questions have arisen about Democratic Party donor Penny Pritzker's compliance with federal ethics rules. She had pledged to divest from more than 200 firms when she was confirmed as President Barack Obama's commerce secretary in 2013, but records show that she transferred assets to a company owned by her children's trusts, which shared the same address as her office. Economist Gabriel Zucman and his colleagues estimate that 63% of foreign profits made by American multinational corporations are stored in subsidiaries and offshore accounts, depriving the country of about $70 billion in tax revenue each year. Argentine Finance Minister Luis Caputo managed at least two offshore wealth funds. Neither firm, the Cayman Islands–based Alto Global Fund, nor its Miami-based parent company Noctua Partners LLC, were listed in Caputo's financial disclosure statement, a statement that all public officials and candidates for office are required to make. Caputo is a first cousin of local industrialist and construction tycoon Nicolás Caputo, best friend of Argentine President Mauricio Macri. He told Argentine members of the ICIJ team that "it was an investment fund for friends and family." The funds, opened in 2009 and with over $100 million under management, remained under Caputo's management until December 2015, when Macri named him Finance Secretary, a post upgraded to Finance Minister this January. Argentine Energy Minister Juan José Aranguren managed two offshore companies, Shell Western Supply and Trading Limited and Sol Antilles y Guianas Limited, both subsidiaries of Royal Dutch Shell. One is the main bidder for the purchase of diesel oil by the current government through the state owned CAMMESA (Compañía Administradora del Mercado Mayorista Eléctrico). According to the papers, Argentine hotelier and real estate developer Alan Faena was director and CEO of half a dozen companies in the Cayman Islands and British Virgin Islands. Faena also appears with bank accounts in Luxembourg and the Isle of Man, linked to different hotels and real estate projects in Puerto Madero. In the offshore firms he was associated with different investors such as Soviet-born British-American businessman Leonard Blavatnik; American billionaire J. Christopher Burch and his brother Robert Burch; American business and media executive John Augustine Hearst; and French designer Philippe Starck. Agriculture Minister Blairo Borges Maggi is mentioned in the papers. His company, Amaggi and LD Commodities, was first registered about five months after Maggi ended a term as governor of Mato Grosso. Maggi told Brazilian outlet Poder360 that he was not a direct beneficiary of the company and he had never received money from it. Henrique de Campos Meirelles, the current Brazilian Minister of Finance, told Poder360 that he does not report income from his Sabedoria Foundation because it was set up to perform charitable functions after his death and therefore he receives no income from it. Alsacia-Express, which runs the debt-ridden public transit system of Santiago, holds assets in a Bermuda bank, according to the Appleby documents. 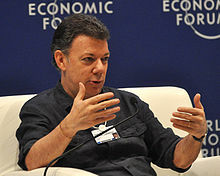 President of Colombia (2010–2018) Juan Manuel Santos is mentioned in the investigation. He was part of two offshore societies. The singer Shakira, while living in Barcelona, is a resident of the Bahamas and sends her authors' rights revenue to Malta. In the United Kingdom, the public reaction to the Paradise Papers has been relatively muted compared to similar leaks in the past, such as the Panama Papers. Possible reasons include the absence of overt illegality in the information; most media sources are careful to point out that the schemes in the Paradise Papers are generally lawful. A statement on behalf of Queen Elizabeth confirmed that the Royal Estate paid full UK tax on her offshore investments. Other public comments by notable popular public figures who appeared in the Papers may also play a part; Bono stated "I've been assured by those running the company that it is fully tax compliant, but if that is not the case, I want to know as much as the tax office does, and so I also welcome the audit they have said they will undertake." Jack Peat has suggested that much of the media has ignored the story of the Paradise Papers because those media organisations are owned by individuals implicated in the papers, such as Daily Telegraph owners David and Frederick Barclay, Daily Mail owner Jonathan Harmsworth, and The Sun and The Times owner Rupert Murdoch. After the leak, more than 30 Members of the European Parliament issued an open letter criticizing the British government for failing to take action against the offshore tax industry. Gavin St Pier, an elected Deputy of the tax haven Guernsey, stated that the "coverage was part of a well-orchestrated, ongoing campaign". He also averred that despite having the information since 2016, the timing of the release was deliberately delayed to coincide with the meeting of EU Finance Ministers ahead of the proposed discussion of a tax haven blacklist. On 18 December 2017 it was reported that Appleby had issued legal proceedings against the BBC and The Guardian for breach of confidence. The BBC and The Guardian said they would "vigorously" defend the action. Appleby released a media statement to explain the necessity to seek legal action, and provided subsequent update. The Guardian and the BBC settled the dispute with Appleby in May 2018. In October 2018, Swiss-based multinational Glencore lodged a writ with the Australian High Court to prevent the use of Paradise Papers documents by the Australian Taxation Office in any legal action against the miner. Glencore asserted that the documents in question are subject to legal professional privilege. Glencore’s writ has four plaintiffs: Glencore International AG (an intermediate holding company resident in Switzerland), Glencore Investment Pty Ltd (a company incorporated in Australia), Glencore Australia Holdings Pty Ltd (a company incorporated in Australia) and Glencore Investment Holdings Australia Ltd (a company incorporated in Bermuda). ^ Zerofsky, Elisabeth (11 November 2017). "How a German Newspaper Became the Go-To Place for Leaks Like the Paradise Papers". The New Yorker. ISSN 0028-792X. Archived from the original on 23 December 2017. Retrieved 12 December 2017. ^ a b c d Fitzgibbon, Will; et al. (5 November 2017). "The 1 Percent – Offshore Trove Exposes Trump-Russia Links And Piggy Banks Of The Wealthiest 1 Percent – A new leak of confidential records reveals the financial hideaways of iconic brands and power brokers across the political spectrum". International Consortium of Investigative Journalists. Archived from the original on 5 November 2017. Retrieved 5 November 2017. ^ a b "Paradise Papers: All you need to know". BBC. 5 November 2017. Archived from the original on 5 November 2017. Retrieved 6 November 2017. ^ "Paradise Papers: Your guide to four years of offshore revelations Archived 7 November 2017 at the Wayback Machine". BBC News. 5 November 2017. ^ Will Fitzgibbon (7 November 2017). "Another British Royal Found With Offshore Connections". ICIJ. Archived from the original on 11 November 2017. ^ "Paradise Papers: Queen's private estate invested £10m in offshore funds". BBC News. BBC Panorama. 5 November 2017. Archived from the original on 5 November 2017. Retrieved 5 November 2017. ^ a b c "Paradise Papers: Tax haven secrets of ultra-rich exposed". BBC News. BBC Panorama. 5 November 2017. Archived from the original on 5 November 2017. Retrieved 22 February 2018. ^ Garside, Juliette (5 November 2017). "Paradise Papers leak reveals secrets of the world elite's hidden wealth". The Guardian. ISSN 0261-3077. Archived from the original on 11 November 2017. Retrieved 11 November 2017. ^ Truong, Alice (6 November 2017). "A Reddit user hinted at Paradise Papers 16 days before they leaked". Quartz. Archived from the original on 6 November 2017. Retrieved 6 November 2017. ^ Hodgson, Camilla (25 October 2017). "Panama Papers 2? The financial secrets of the super-rich may be about to be leaked after an offshore law firm was hacked". Business Insider. Archived from the original on 6 November 2017. Retrieved 6 November 2017. ^ "Offshore law firm Appleby's response: 'no evidence of wrongdoing'". The Guardian. 5 November 2017. Archived from the original on 6 November 2017. Retrieved 18 February 2018. ^ "Appleby reaction to media coverage". Appleby. 5 November 2017. Archived from the original on 7 November 2017. Retrieved 8 November 2017. ^ "Data leak was 'criminal act'". Jersey Evening Post. 7 November 2017. Archived from the original on 11 November 2017. Retrieved 10 November 2017. ^ "Paradise Papers". Süddeutsche Zeitung. 5 November 2017. Archived from the original on 6 November 2017. Retrieved 6 November 2017. ^ "Here's the Swedish startup behind the 'Paradise Papers' — which made all hell break loose'". Nordic Business Insider. 7 November 2017. Archived from the original on 7 November 2017. Retrieved 22 February 2018. ^ "How a nerdy Swedish database startup with $80m in funding cracked the Paradise Papers'". Business Insider. 8 November 2017. Archived from the original on 8 November 2017. Retrieved 22 February 2018. ^ de Haldevang, Max de; Seward, Zachary M. (5 November 2017). "Here's a guide to the major revelations in the Paradise Papers". Quartz. Archived from the original on 6 November 2017. Retrieved 6 November 2017. ^ "'Paradise papers' expose tax evasion schemes of the global elite Archived 5 November 2017 at the Wayback Machine", Deutsche Welle. 5 November 2017. ^ "So lief die SZ-Recherche Archived 5 November 2017 at the Wayback Machine". Süddeutsche Zeitung; accessed 22 February 2018. ^ "Paradise Papers reveal hidden wealth of global elite". The Express Tribune. 6 November 2017. Archived from the original on 6 November 2017. ^ "The facts about Apple's tax payments". Apple. 6 November 2017. Archived from the original on 9 November 2017. Retrieved 9 November 2017. ^ "Paradise Papers: Promoter firms pledge Zee shares to raise funds via offshore route". The Indian Express. 7 November 2017. Archived from the original on 7 November 2017. ^ "Paradise Papers: Second largest company in Appleby files is Khemka's SUN, with 100 plus firms". The Indian Express. 7 November 2017. Archived from the original on 7 November 2017. ^ "Paradise Papers: Biggest data leak reveals trails of Indian corporates in global secret tax havens". The Indian Express. 5 November 2017. Archived from the original on 5 November 2017. Retrieved 5 November 2017. ^ "Jersey Financial Services Commission Statement re Apple" (PDF). JFSC. 7 November 2017. Retrieved 7 November 2017. ^ "Jersey Government Appleby Data Breach Statement". States of Jersey. 7 November 2017. Retrieved 7 November 2017. ^ "OECD Jersey Report 2017". OECD. 17 November 2017. Retrieved 17 November 2017. ^ Simon Bowers (6 November 2017). "Apple's Offshore Island Hop". ICIJ. Archived from the original on 5 November 2017. Retrieved 6 November 2017. ^ Delfino, Emilia; Crucianelli, Sandra; Fitz Patrick, Mariel; Brom, Ricardo; Jastreblansky, Maia; Ruiz, Iván; Alconada Mon, Hugo (10 November 2017). "Paradise Papers – El entramado de más de 20 offshores detrás del desembarco de Avianca". Perfil. Archived from the original on 10 November 2017. Retrieved 10 November 2017. ^ Spencer Woodman (5 November 2017). "Kremlin-Owned Firms Linked To Major Investments In Twitter And Facebook: The Russian government quietly held a financial interest in U.S. social media". ICIJ. Archived from the original on 6 November 2017. Retrieved 6 November 2017. ^ Ben Doherty; Oliver Zihlmann (5 November 2017). "The inside story of Glencore's hidden dealings in the DRC". Guardian. Archived from the original on 6 November 2017. Retrieved 8 January 2018. ^ Ben Doherty; Oliver Zihlmann (5 November 2017). "Revealed: Glencore's secret loan to secure DRC mining rights". The Guardian. Archived from the original on 6 November 2017. Retrieved 6 November 2017. ^ Bastian Obermayer; Edouard Perrin; Frederik Obermaier; Oliver Zihlmann; Petra Blum; Will Fitzgibbon (5 November 2017). "Room Of Secrets Reveals Glencore's Mysteries: Law firm's internal files reveal oil, mineral and grain trader Glencore signed secret deals and loaned millions to a high-risk business partner". ICIJ. Archived from the original on 6 November 2017. Retrieved 6 November 2017. ^ Ammann, Daniel (2009). The King of Oil: The Secret Lives of Marc Rich. New York: St. Martin's Press. ISBN 0-312-57074-0. ^ Honigsbaum, Mark (13 May 2001). "Profile: Marc Rich | From the Observer | The Observer". The Guardian. London: GMG. ISSN 0261-3077. OCLC 60623878. Archived from the original on 4 December 2013. Retrieved 30 October 2012. ^ Will Fitzgibbon (8 November 2017). "Development Dreams Stand Still While Mining Money Moves Offshore". ICIJ. Archived from the original on 10 November 2017. Retrieved 12 November 2017. ^ Ben Doherty (5 November 2017). "Glencore's Australian Arm moved Billions Through Bermuda: Paradise Papers reveal use of cross-currency interest rate swaps, which are under investigation by the tax office". The Guardian. Archived from the original on 6 November 2017. Retrieved 6 November 2017. ^ a b c Simon Bowers (6 November 2017). "How NikeStays One Step Ahead of the Regulators: When One Tax Loophole Closes, Another Opens". ICIJ. Archived from the original on 6 November 2017. Retrieved 6 November 2017. ^ MacAskill, Ewen; Osborne, Hilary; Garside, Juliette (9 November 2017). "The Brexiters who put their money offshore". The Guardian. Archived from the original on 10 November 2017. Retrieved 10 November 2017. ^ "Wesley K. Clark". International Consortium of Investigative Journalists. Archived from the original on 11 November 2017. Retrieved 11 November 2017. ^ a b c "Paradise Papers Exposes Powerful Politicians, Prompts Calls For Inquiries Across Africa". International Consortium of Investigative Journalists. 18 November 2018. Archived from the original on 19 November 2017. Retrieved 18 November 2017. ^ Will Fitzgibbons (11 November 2017). "" Paradise Papers " : l'argent suspect de l'Angola a trouvé asile à l'île Maurice" (in French). Le Monde. ICIJ. Retrieved 26 November 2017. ^ Anna Meisel; David Grossman (7 November 2017). "Paradise Papers: Tycoon made $41m from 'people's fund'". BBC. Retrieved 26 November 2017. ^ Emmanuel K. Dogbevi; Kwasi Gyamfi Asiedu (7 November 2017). "Ghana Minister of Finance and former President Mahama's brother appear in Paradise Papers". Ghana Business News. Archived from the original on 1 December 2017. Retrieved 25 November 2017. ^ "International Consortium of Investigative Journalists (Washington D.C.): Kenya: Kosgei Named in Paradise Papers". AllAfrica. 6 November 2017. Archived from the original on 6 November 2017. Retrieved 19 November 2017. ^ "Ellen Johnson Sirleaf". International Consortium of Investigative Journalists. Archived from the original on 7 November 2017. Retrieved 5 November 2017. ^ "Bukola Saraki". International Consortium of Investigative Journalists. Archived from the original on 7 November 2017. Retrieved 5 November 2017. ^ a b c d e f g h i j "Explore The Politicians in the Paradise Papers". ICIJ. Archived from the original on 6 November 2017. Retrieved 6 November 2017. ^ "What are the 'Paradise Papers' and why should you care? : The leak is a trove of 13.4 million files taken mostly from the offshore law firm Appleby". Al Jazeera. 6 November 2017. Archived from the original on 4 December 2017. Retrieved 25 November 2017. ^ "Union Minister Jayant Sinha's Response To Paradise Papers Reveal". New Delhi: NDTV. 6 November 2017. Archived from the original on 6 November 2017. Retrieved 22 February 2018. ^ Yadav, Shyamlal (6 November 2017). "Paradise Papers: Security firm of BJP Rajya Sabha MP Ravindra Kishore Sinha linked to two offshore entities". New Delhi: The Indian Express. Archived from the original on 6 November 2017. Retrieved 22 February 2018. ^ "What are the 'Paradise Papers' and why should you care?". aljazeera.com. Archived from the original on 6 November 2017. Retrieved 6 November 2017. ^ Tandon, Suneera (7 November 2017). "The Indian superstars of tax haven leaks: Amitabh Bachchan and Vijay Mallya". Quartz India. Archived from the original on 7 November 2017. Retrieved 9 November 2017. ^ Gorbiano, Marchio Irfan (6 November 2017). "Tax office to follow up 'Paradise Papers' data on Indonesian taxpayers". The Jakarta Post. Archived from the original on 6 November 2017. Retrieved 6 November 2017. ^ "Perusahaan Prabowo dan Sandiaga tersangkut Paradise Papers - Tempo". Tempo.co. Retrieved 9 November 2017. ^ "Paradise Papers: ICIJ releases another database revealing offshore companies Archived 5 November 2017 at the Wayback Machine". Geo TV. 6 November 2017. ^ "2017 interim report" (PDF). Hoifu Energy Group. 25 September 2017. Archived (PDF) from the original on 9 November 2017. Retrieved 7 November 2017 – via Hong Kong Exchanges and Clearing. ^ "Sauat Mukhametbayevich Mynbayev". ICIJ Offshore Leaks Database. Archived from the original on 7 November 2017. ^ "Paradise Papers - Mukhtar Ablyazov". offshoreleaks.icij.org. ICIJ. ^ "Paradise Papers: ICIJ names Pakistanis Shaukat Aziz and Ayaz Khan Niazi". Geo TV. 5 November 2017. Archived from the original on 5 November 2017. Retrieved 5 November 2017. ^ "'7 Years in Tibet' Director Caught in Tax Haven Accusations". The New York Times. 8 November 2017. Archived from the original on 9 November 2017. Retrieved 9 November 2017. ^ "Paradise Papers: Η εμφάνιση του ονόματος της Μαρέβα Γκραμπόφσκι- Μητσοτάκη και οι απαντήσεις της". huffingtonpost.gr. Archived from the original on 8 November 2017. Retrieved 9 November 2017. ^ "Οι 2.594 Έλληνες στη νέα λίστα των Paradise Papers - Avgi.gr". ^ "Οι Έλληνες των Paradise Papers - Αναλυτική λίστα - Avgi.gr". ^ "Paradise Papers: Queen and Bono kept money in offshore funds, leaked files reveal Archived 6 November 2017 at the Wayback Machine". The Daily Telegraph. 5 November 2017. ^ "Bono responds after being named in the Paradise Papers". The Independent. 6 November 2017. Archived from the original on 6 November 2017. Retrieved 6 November 2017. ^ "Antanas Guoga". International Consortium of Investigative Journalists. Archived from the original on 6 November 2017. Retrieved 5 November 2017. ^ "Paradise Papers | Power players with interests in Malta companies Archived 5 November 2017 at the Wayback Machine". Malta Today. 5 November 2017. ^ PWC und der serbische Minister von Küsnacht Archived 12 November 2017 at the Wayback Machine(in German). Tages Anzeiger online (Wirtschaft). Retrieved 12 November 2017. ^ Olmo, José María (5 November 2017). "Trias participated as a beneficiary in an offshore trust of the RBS Coutts bank in Switzerland" (in Spanish). El Confidencial. Archived from the original on 6 November 2017. Retrieved 5 November 2017. ^ "The Spaniards of the 'Papers of Paradise': Xavier Trias, José María Cano and Daniel Maté" (in Spanish). El Economista. 5 November 2017. Archived from the original on 5 November 2017. Retrieved 5 November 2017. ^ "The former president of Telefónica Juan Villalonga administered two companies in tax havens" (in Spanish). El Mundo. 7 November 2017. Archived from the original on 7 November 2017. Retrieved 7 November 2017. ^ "Angola Sovereign Wealth Fund Denies Claims Investments Illegal". Bloomberg News. 8 November 2017. Archived from the original on 9 November 2017. Retrieved 9 November 2017. ^ "Four Things The Paradise Papers Tells Us About Malta Archived 5 November 2017 at the Wayback Machine". Lovin Malta. 5 November 2017. ^ "Paradise Belgeleri: Zenginler ve siyasetçilerin off-shore sırları". BBC Türkçe. 6 November 2017. Archived from the original on 14 November 2017. Retrieved 15 November 2017. ^ a b "Prince Charles's estate made big profit on stake in friend's offshore firm". The Guardian. Archived from the original on 7 November 2017. Retrieved 7 November 2017. ^ a b "Paradise Papers: Queen should apologise, suggests Corbyn". BBC. 6 November 2017. Archived from the original on 7 November 2017. Retrieved 6 November 2017. ^ "Theresa May 'frustrated' at refusal of BBC and Guardian to hand over Paradise Papers evidence". The Daily Telegraph. Archived from the original on 7 November 2017. Retrieved 7 November 2017. ^ "Paradise Papers: Prince Charles lobbied on climate policy after shares purchase". BBC News. Archived from the original on 8 November 2017. Retrieved 7 November 2017. ^ Finextra (3 April 2007). "James Sassoon to act as president of financial action task force". Archived from the original on 9 November 2017. ^ "James Meyer Sassoon – ICIJ Offshore Leaks Database". Archived from the original on 7 November 2017. ^ Juliette Garside; Ryan Chittum (6 November 2017). "Offshore Gurus Help Rich Avoid Taxes on Jets and Yachts: Buying a $27-million private jet or plush mega-yacht means millions in sales taxes—unless you know the right pro". International Consortium of Investigative Journalists. Archived from the original on 7 November 2017. Retrieved 19 November 2017. ^ "Jeremy Corbyn leads criticism of Paradise Papers legal action". The Guardian. 19 December 2017. Archived from the original on 19 December 2017. ^ "Paradise Papers Reveal Poroshenko's Attempt to Avoid Ukrainian Taxes". Hromadske. 5 November 2017. Archived from the original on 8 November 2017. ^ "Paradise Papers: Ukraine crime gang hid proceeds in luxury London flats". BBC. 23 April 2018. Archived from the original on 24 April 2018. ^ a b Blau, Uri (5 November 2017). "The Paradise Papers: Haaretz Reveals Some of the Israeli Businessmen and Firms Registered in Offshore Tax Havens". Haaretz. Archived from the original on 7 November 2017. Retrieved 7 November 2017. ^ "Noor al-Hussein". International Consortium of Investigative Journalists. Archived from the original on 5 November 2017. Retrieved 5 November 2017. ^ "Rami Makhlouf". ICIJ Offshore Leaks Database. Archived from the original on 7 November 2017. ^ "Huge offshore data leak reveals financial secrets of global elites—from the Queen to former PMs". CBC News. 5 November 2017. Archived from the original on 5 November 2017. Retrieved 5 November 2017. ^ Harvey Cashore; Ryan Chittum (5 November 2017). "Justin Trudeau's Chief Fundraiser Linked To Offshore Tax Maneuvers: Long-standing offshore ties of the Liberal Party moneyman and his famous family provide jarring contrast to Canadian prime minister's campaign for tax fairness". ICIJ. Archived from the original on 6 November 2017. Retrieved 6 November 2017. ^ a b c Mexicanos involucrados en Paradise Papers Archived 7 November 2017 at the Wayback Machine. Agencias, UniRadio Noticias 6 November 2017. (in Spanish). ^ a b McIntire, Mike; Chavkin, Sasha; Hamilton, Martha M. (5 November 2017). "Commerce Secretary's Offshore Ties to Putin 'Cronies'". The New York Times. Archived from the original on 5 November 2017. Retrieved 5 November 2017. ^ "The Influencers – Paradise Papers". ICIJ. Archived from the original on 5 November 2017. Retrieved 5 November 2017. ^ "Offshore Trove Exposes Trump-Russia Links And Piggy Banks Of The Wealthiest 1 Percent". International Consortium of Investigative Journalists. 5 November 2017. Archived from the original on 5 November 2017. ^ "Rex Tillerson's Offshore Story". ICIJ. Archived from the original on 14 November 2017. ^ "Kremlin-owned Firms Linked to Major Investments in Twitter and Facebook Archived 7 November 2017 at the Wayback Machine". International Consortium of Investigative Journalists – ICIJ. 5 November 2017. ^ Swaine, Jon; Harding, Luke (5 November 2017). "Russia funded Facebook and Twitter investments through Kushner associate". The Guardian. Archived from the original on 5 November 2017. Retrieved 5 November 2017. ^ Brooks, David (5 November 2017). "'Papers of Paradise': secret financial system of the rich and powerful" (in Spanish). New York: La Jornada. Archived from the original on 7 November 2017. ^ "Trump’s cabinet members amongst those named in Paradise Papers Archived 7 November 2017 at the Wayback Machine". Daily Balochistan Express. 6 November 2017. ^ Spencer Woodman (7 November 2017). "Big U.S. Political Donors Play The Offshore Game". ICIJ. Archived from the original on 14 November 2017. Retrieved 12 November 2017. ^ Bryce Covert (12 November 2017). "Paradise Papers Show How Misguided the G.O.P. Is on Taxes". New York Times. Archived from the original on 18 November 2017. Retrieved 18 November 2017. ^ a b c d "Paradise Papers salpicó al Gobierno de Macri: el ministro Luis Caputo manejó inversiones en Islas Caimán". Peril. 5 November 2017. Archived from the original on 5 November 2017. ^ "Aranguren: su paso por una offshore de Shell a la que el Estado le compró gasoil por US$ 150 M". Perfil. 7 November 2017. Archived from the original on 7 November 2017. Retrieved 7 November 2017. ^ "Alan Faena, otro argentino en Paradise Papers". Perfil. 7 November 2017. Archived from the original on 7 November 2017. Retrieved 7 November 2017. ^ "Alsacia Express: Los secretos en Islas Bermudas del mayor operador del Transantiago" (in Spanish). Ciper. 7 November 2017. Archived from the original on 1 December 2017. Retrieved 26 November 2017. ^ "Juan Manuel Santos, el yerno de Trump y la reina Isabel II, implicados en los Paradise Papers Archived 8 November 2017 at the Wayback Machine". El Mundo. 5 November 2017. ^ "La chanteuse Shakira place des millions d'euros de droits d'auteur à Malte". Le Monde.fr (in French). 7 November 2017. ISSN 1950-6244. Retrieved 8 November 2017. ^ Micah White (10 November 2017). "Why aren't the streets full of protest about the Paradise Papers?". The Guardian. Archived from the original on 10 November 2017. Retrieved 10 November 2017. The street-level response to the Paradise Papers, the mighty follow-up punch to last year's Panama Papers, has been curiously tepid. This is probably not what many activists, and the 100 media organizations involved in the leak, expected to happen. ^ Bill Jamieson (9 November 2017). "Bill Jamieson: is it so bad to avoid tax within the law?". The Scotsman. Archived from the original on 9 November 2017. Retrieved 10 November 2017. Arguably most puzzling of all was the exact nature of the wrong doing. Both the Paradise Papers website and the BBC Panorama documentary ... repeatedly stressed that no laws had been broken and that UK tax due had been paid. Indeed, as the BBC documentary made clear, "the vast majority of the transactions involve no legal wrongdoing". ^ "Paradise Papers: Queen's private estate invested £10m in offshore funds". BBC News. 6 November 2017. Archived from the original on 6 November 2017. Retrieved 10 November 2017. ^ Roisin O'Connor (9 November 2017). "Paradise Papers: Bono says he welcomes investigation into offshore investment". The Independent. Archived from the original on 8 November 2017. Retrieved 10 November 2017. ^ Peat, Jack (7 November 2017). "This is why there's been so little media coverage of the Paradise Papers". The London Economic. Archived from the original on 13 November 2017. Retrieved 12 November 2017. ^ Osborne, Hilary; MacAskill, Ewen (10 November 2017). "Britain criticised by MEPs for failing to take action on tax havens". The Guardian. Archived from the original on 10 November 2017. Retrieved 10 November 2017. ^ a b Vanessa Houlder (8 November 2017). "Paradise Papers shake Britain's offshore tax havens". Financial Times. Archived from the original on 9 November 2017. Retrieved 8 November 2017. ^ a b "Bernie Sanders warns of 'international oligarchy' after Paradise Papers leak". The Guardian. Archived from the original on 6 November 2017. Retrieved 6 November 2017. ^ "BBC and Guardian sued over Paradise Papers leaks". BBC News. 18 December 2017. Archived from the original on 21 December 2017. Retrieved 24 December 2017. ^ "Appleby Media Statement". States of Jersey. 20 December 2017. Retrieved 20 December 2017. ^ "Appleby Media Statement". States of Jersey. 26 January 2018. Retrieved 26 January 2018. ^ Tobitt, Charlotte (22 May 2018). "Guardian and BBC settle Paradise Papers dispute with offshore law firm Appleby". Press Gazette. Retrieved 1 June 2018. ^ "Glencore seeks injunction against tax commissioner to prevent use of Paradise Papers". The Guardian. 4 October 2018. Retrieved 9 October 2018. Wikimedia Commons has media related to Paradise Papers.